Now this is a blow to my childhood … Before Nintendo, before Gameboys, before Wii, before the Internet, before Madden Football and before Call of Duty … There was Atari and Pong! Atari US, the company that brought us Pong, Asteroids and many of the original video games that kids today would think are archaic, has filed for bankruptcy. Say it isn’t so. 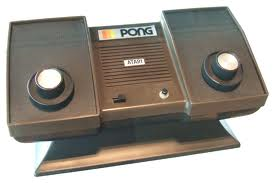 Atari was the company 40 years ago that helped spearhead the video game industry with such games as Pong, Asteroid and Centipede, as well as consoles to evolve the consumer electronics field has filed for chapter 11 bankruptcy protection. The filing was made in the United States Bankruptcy Court for the Southern District of New York and covers Atari Inc., Humongous Inc. and California US Holdings Inc. The U.S. operations of iconic but long-troubled video game maker Atari have filed for bankruptcy in an effort to break free from their debt-laden French parent. Atari Inc. and three of its affiliates filed petitions for Chapter 11 reorganization in U.S. Bankruptcy Court in New York late Sunday. Its leaders hope to break the American business free from French parent Atari S.A. and in the next few months find a buyer to take the company private. They hope to grow a modest business focused on digital and mobile platforms, according to a knowledgeable person not authorized to discuss the matter privately. Although the 31-year-old brand is still known worldwide for its pioneering role with video games such as “Pong” and “Asteroids,” Atari has been mired in financial problems for decades. Since the early 2000s it has been closely tied to French company Infogrames, which changed its name to Atari S.A. in 2003 and in 2008 acquired all the gaming pioneer’s American assets. In the 1970′s during the ‘Golden Age of Arcade games, if you had Pong or an Atari game system, it was the equivalent of all of today’s gaming systems put together in one. It was your house that everyone went to after school. Before everyone is so quick to blame only guns for the tragic events in Newtown, CT, parents might want to look at the below study and violent video games. So you think it is all about the guns when it comes to violence. WRONG! Since the heartbreaking murders of 20 innocent children and 6 school staffers hit the news last Friday, many have been grappling with the question of how this could happen? What could have gone so wrong? How could 20 year old Adam Lanza shoot his mother and then go on a murdering spree at the Sandy Hook Elementary School. Many Democrat tragedy opportunists have blamed in all on guns. Sorry, but if we want to be honest about all of this and want to protect our children not only from future Adam Lanza’s, but from themselves, then we have to look at many other factors and issues in this case and many other recent mass murders. It is important to take a look at the following study from Ohio State on violent video games and human, or I should inhuman behavior. The study determined that More Playing Time Violent Video Games Equals More Aggression. Makes sense now doesn’t it. The study basically compares continued violent video game use to the use of cigarettes. The longer and prolonged Gaming and exposed to violent games, the greater the damage. 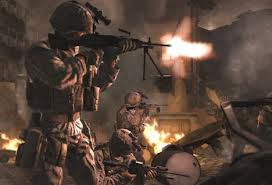 On each of the three test days, the study saw 70 undergraduate participants exposed to either violent games – including Call of Duty 4 (VIDEO trailer) and Condemned 2 (VIDEO trailer) – or passive titles – including DiRT 2 and Pure – for 20 minutes at a time. After playing, participants were asked to then read the start of a story, and then at the end come up with 20 possible follow-on actions the protagonist could take, with the players of violent games opting for more aggressive solutions when compared to the passive players. Then, participants were told that there was another participant in another room, and that they had to compete with them by playing a 25-trial videogame, with the aim of being the first person to respond to visual cues on screen. The winner would then have the power of sending the other person a ‘noise blast’ through their headphones – such as the sound of nails down a chalkboard or a dentist drill. Players of violent games leaned towards sending their opponent a louder, more prolonged sound, while passive players were kinder to their fellow participant. It should be noted however that there actually was no other participant, just in case someone got their ear drums blown out. By the end of the study the research found, “people who played a violent video game for three consecutive days showed increases in aggressive behaviour and hostile expectations each day they played. Meanwhile, those who played non-violent games showed no meaningful changes in aggression or hostile expectations over that period. Imagine what happens when an already disturbed individual with mental illness who has bonding issues is exposed to such violent videos over a prolonged period of time? Ever wonder how some one could become so desensitized that they would have no empathy in killing 6 and 7 year old children? These games reward you for for shooting your victims multiple times and multiple head shots folks. Hmm, sound familiar? What every happened to the video games Donkey Kong, Dig-Dug, Breakout and Space Invaders? What the hell happened to our country and culture that such violence like what exists in actual war is now the norm?